Sapa is a town in northwest Vietnam not far from the Chinese border. Sapa Rice Terraces can be found in the Muong Hoa valley between Sa Pa town and the Fansipan Mountain, on a backdrop of thick bamboo woodlands. Local mountain people, the Hmong, Giay, Dao, Tay, and Giay, grow rice and corn on these paddy terraces, along with vegetables. 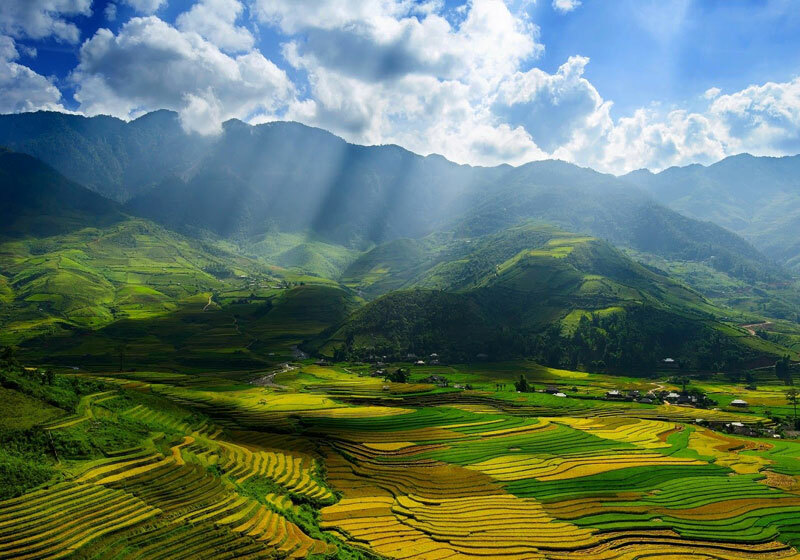 Short Description: Terraced Rice Fields In Sapa – The charming of Sapa. Sapa town is the most attractive tourism town of Vietnam. Rice terraces having appeared in Sapa for hundreds of years are built by competent hands of the Dao, the H'Mong, the Ha Nhi, the Tay, and the Xa Pho and more, from a generation to the next one continuously.